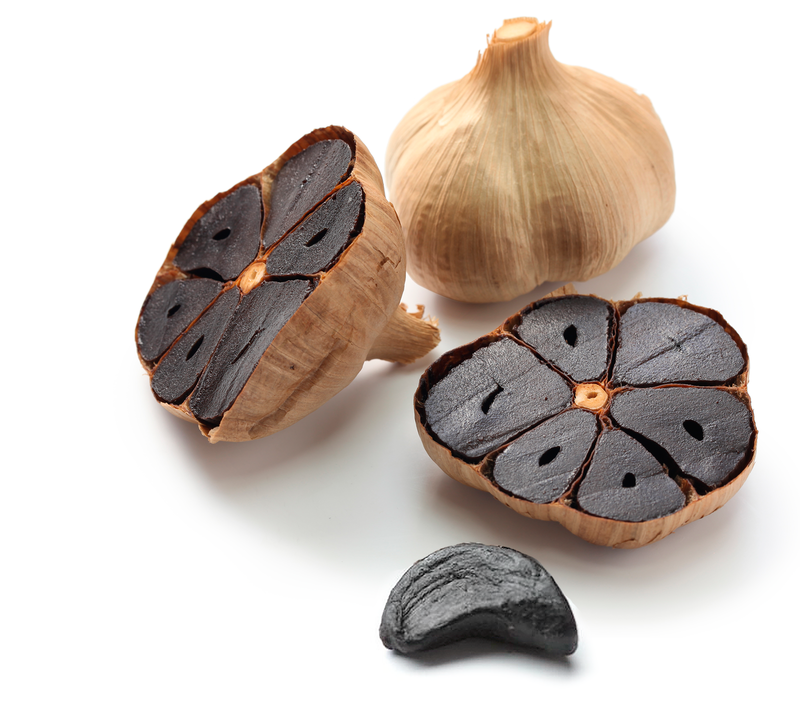 Black garlic is a 100% natural product, obtained through a process of heat and humidity that is applied to common garlic. Acquiring a dark appearance, pleasant taste on the palate and it is also odorless. Due to its process, the strong flavor of white garlic is reduced by 95% and it can be eaten raw or cooked. Vitamin A > 110 mg.
Vitamin C > 12.5 mg. Bag of 1 and 2 pcs.